Colorful capsicums/ Bell Peppers are a favorite in our kitchen. I include capsicum in many of my dishes wherever possible. I also love making dishes using capsicum as a main ingredient as in the case of red Capsicum Chutney and Capsicum fried Rice. After trying out the chutney, it has become as one of the most repeated side dish at our home and it has found a permanent place in our breakfast menu. My mother-in-law once prepared this dish differently by adding onion and tomato. It tasted awesome and went well with Idly and Dosa. 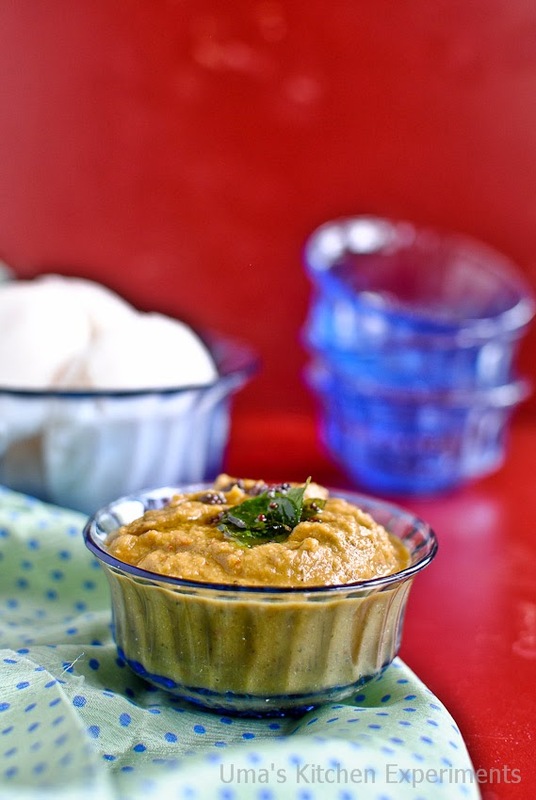 I am sharing her recipe which is a slight a variation of this red capsicum Chutney. 1) Chop onion, green capsicum, tomato as cubes. Chop coriander leaves and curry Leaves roughly. Keep aside. 2) Soak tamarind in 2 tablespoons of water. 3) Heat a teaspoon oil in a pan and roast the urad dal, channa dal and dry red chilli till the dals become brown and releases nice aroma. Transfer to a plate. 4) To the same pan, add the remaining oil and add all the ingredients mentioned in the step one. Saute till everything becomes soft and well cooked. Transfer a plate and cool to room temperature. 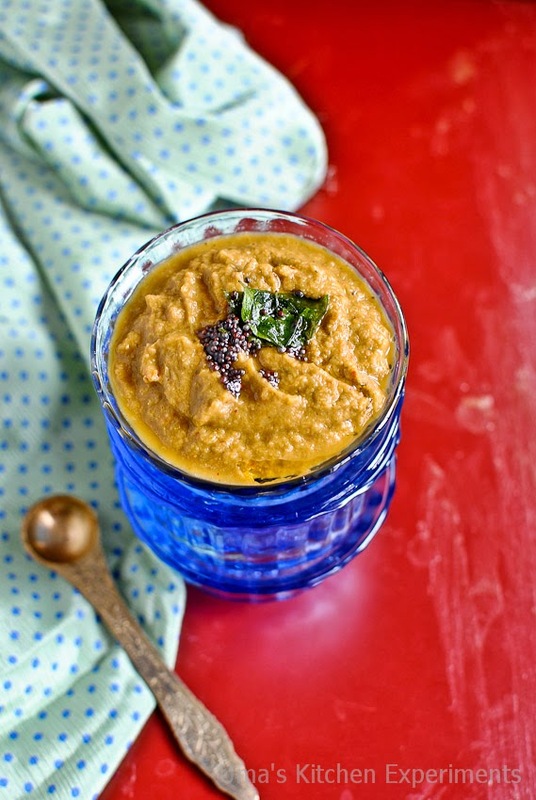 5) In a mixie jar, take roasted dal and dry red chillies and grind it fine to a powder. 6) Then add the rest of the sauteed ingredients, soaked tamarind along with water. Grind it to a smooth paste with enough water. Add salt to your taste and water to your required consistency. 7) Add oil to another small pan and heat it. Add mustard seeds, when it is hot. 8) When the mustard seeds started spluttering, add curry leaves and asafoetida. Let the curry leaves turn crisp. 9) Pour this seasoning to the chutney and mix well. 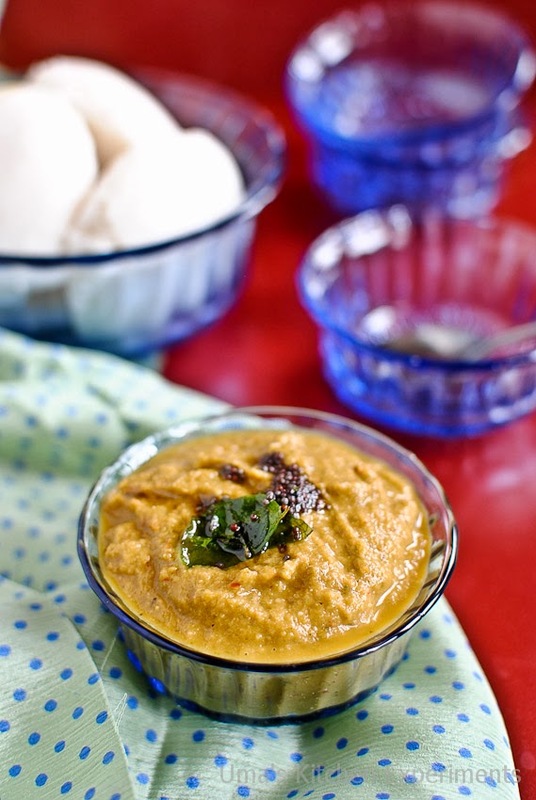 10) Serve with idly or dosa. 1) You can add ginger and garlic for variation. 2) Any color capsicum can be used to make this chutney. 3) Make sure to remove the seeds of green capsicum so as to avoid spluttering when you saute it. Tempting clicks........ 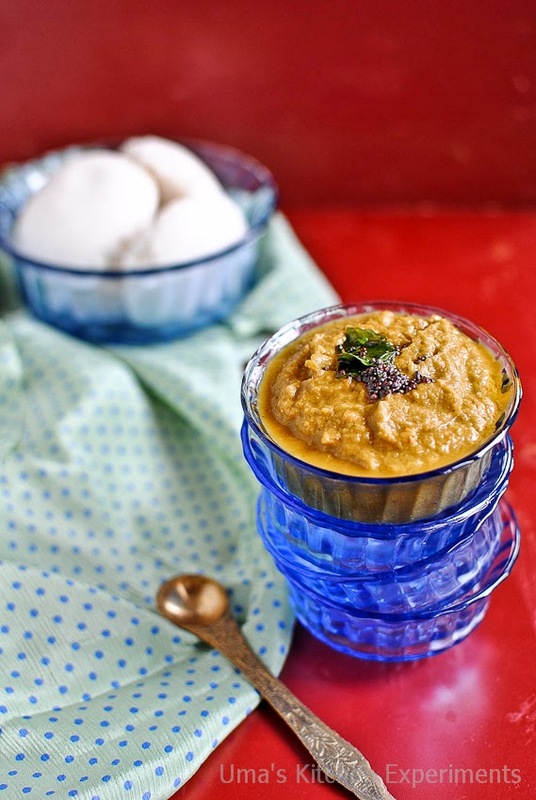 Perfect with idly, dosa! I can have this chutney with two more idlies for my dinner rite now. nice chutney. love it idly/dosa.